NEW HOME WITH BUILDERS WARRANTY is one of only 50 homes tucked amongst the bluffs of this exclusive new Lone Tree neighborhood. 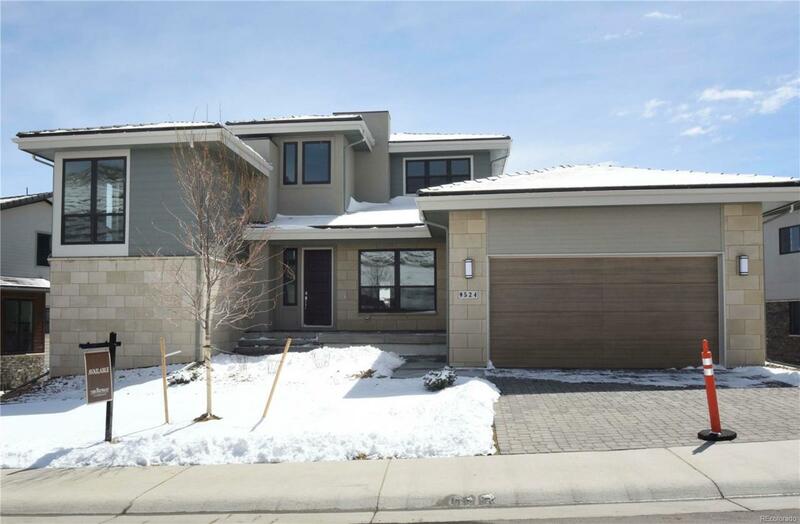 Enjoy an abundance of amenities including large homes sites, extensive open space, access to recreational trails, & beautiful vistas, yet still be only minutes from world-class shopping, dining & I-25/470 access. 3 different light rail stations connect you to just about anywhere in the metro Denver area. Features include full walkout basement, front/back landscape, concrete tile roof, paved driveway/walkway, 8 doors, barn doors, oversized stacking slider, 10 + vaulted ceilings, smooth drywall finish, gourmet kitchen w/Wolfe appliance package, extensive wood flooring, designer tile, free-standing master bath tub and oversized walk-in shower.